At Astrimar® our people are passionate, energetic and strive for excellence. We are continually looking to attract a diverse team of exceptional people committed to delivering high quality solutions. Our vision is to grow our business through nurturing relationships with our clients and attracting new team members to explore varied and challenging roles. If you would like to work in an environment which actively promotes growth and development, encourages you to become an expert in your field and also strives for a healthy work/life balance then Astrimar is the place for you. We believe in developing rewarding relationships with both clients and our employees; why not look at some of the great things our employees say about Working for Astrimar. The accreditation of our graduate training scheme by the IMechE reinforces Astrimar's commitment to development and investment in its graduates. 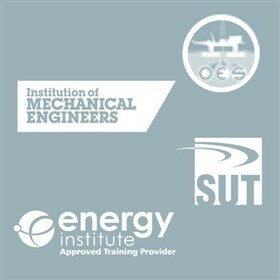 CPD is actively encouraged, for example through our company membership of the Society for Underwater Technology, the Energy Insitute and the Offshore Engineering Society. If you think we are the right company for you but you can’t spot a current vacancy which matches your experience, we would still be keen to hear from you. Please upload your CV here and tell us why you would like to work for us. Astrimar operates a strict preferred supplier list (PSL) for all permanent and temporary recruitment. By using the contact details on this website to submit candidate details without prior consultation, the sender accepts that Astrimar shall have the absolute right to pursue and engage those candidates without obligation to third party terms and conditions, even if those terms and conditions form a part of the details submitted. This includes, but is not limited to, agency fees, charges or costs.